Companies everywhere are tightening the security measures in an effort to become more focused and productive. Now most organizations depend on CCTV security to overcome any potential threats and to increase office productivity. In the more complex world, however, use of CCTV surveillance has far reaching benefits. With the implementation of security systems, companies or homes have lot of benefits. CCTV surveillance provides enhanced security. As far as the security is concerned investing in CCTV security is really worth. Choosing a reliable and suitable camera systems is crucial for any business. A good service provider can help you to plan and install right systems that meets your security requirements in detail. There are lot of improvements in the types of cameras being used for the surveillance. Along with the IP camera and analog cameras, one more technology has caught the attention of the industry, and it is the HDCVI technology. It is really a good option for those who are looking for cost effective high definition surveillance. It’s your turn now to pick the HDCVI camera, if you are looking for high quality surveillance that fit your budget. HDCVI technology is the proven technology that organizations are now depending on for high definition surveillance over IP surveillance system. In reality, HDCVI cameras are high definition analog cameras that employs the existing coaxial cable to transmit the video streams. CCTV Dubai is specialized in delivering quality surveillance systems with the HDCVI cameras. The cameras can be coupled with the HDCVI DVR to store and manage the data. We have been proved our meticulous in the domain of CCTV installation to various industries such as the banks, hotels, institutions and more. 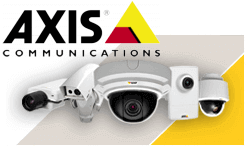 We understand like other things, making a decision on which surveillance system to choose can be tough. The advantages described, even at affordable budget, is enough to confirm that HDCVI cameras Dubai is an outstanding choice for your business or home. With the years of experience, we can confirm that, majority of your security requirements can be fulfilled with the HDCVI security camera systems in Dubai. We combine the best of knowledge and technology to build a high-end security solution for you. The help is just a click away, be to safeguard your premises or to protect your corporate assets. Based in Dubai our services will be available in the region of Abu Dhabi, Ras-Al-Khaimah, Sharjah, Umm Al Quwain, Al Ain and Ajman. With several branded camera options and with the state of the art systems, you simply can have the harmony. Get in touch with us now and enjoy the High-definition CCTV security systems in Dubai, UAE.